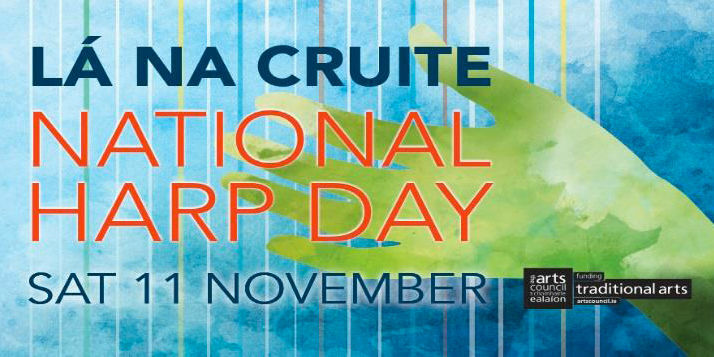 Saturday November 11th marks Lá na Cruite/National Harp Day where the recently established umbrella organisation, Harp Ireland, Cruit Éireann, will celebrate all facets of the harp in Ireland. Venues all over Ireland will resound to the sound of harps at workshops, sessions, concerts, talks, and demonstrations of harp making. Come to the ITMA reading room on Lá na Cruite/National Harp Day for an hour long concert (4.00-5.00 pm) featuring internationally renowned harpers Triona Marshall, Michelle Mulcahy and Anne-Marie O’Farrell.